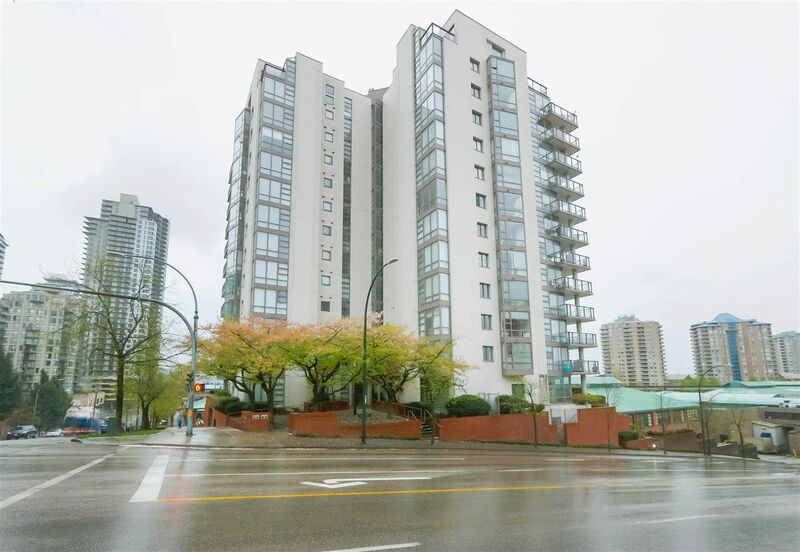 Fabulous location in the heart of downtown New Westminster. Walk to shopping, sky train, The Quay and restaurants. Great layout, that is warm and inviting. Updates include flooring, blinds, tiled balcony, kitchen and bathroom. Well maintained building. Indoor pool, exercise room and recreation room, this home has it all. Wonderful place to call home. Second bedroom does not have closet. Open House Sat April 13 & Sun April 14 2-4.